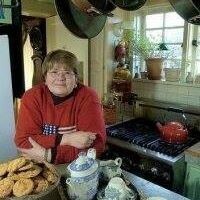 I grew up in the midwest but Mother would buy shrimp every once in a while which she always served boiled. We didn’t do a traditional coastal shrimp boil, however, just boiled shrimp as the entree. Served with her shrimp sauce — half mayo and half ketchup. Sheet pan dinners are a fad now and they certainly are easy. You dump everything on a sheet pan, put it in the oven and voila, you have a one pan dinner! 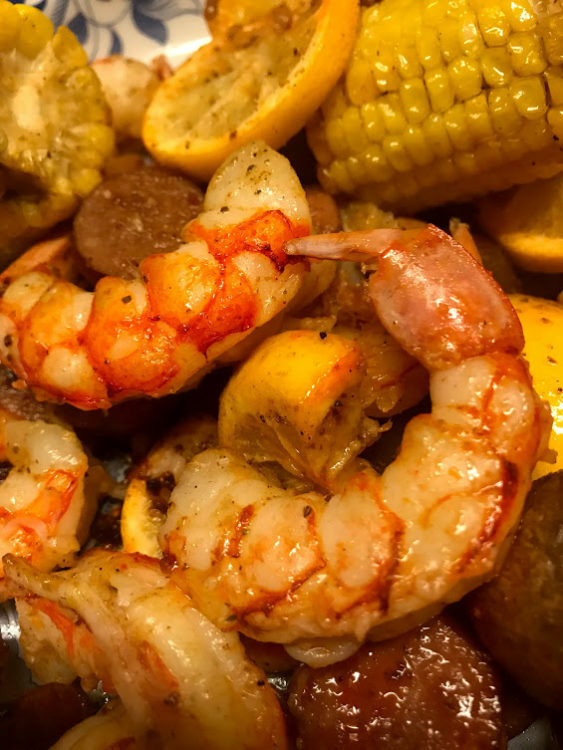 This sheet pan shrimp boil made the icy weather go away — it’s simple and delicious! In a large pot of salted boiling water, cook potatoes until just tender. About 10 minutes. Drain. 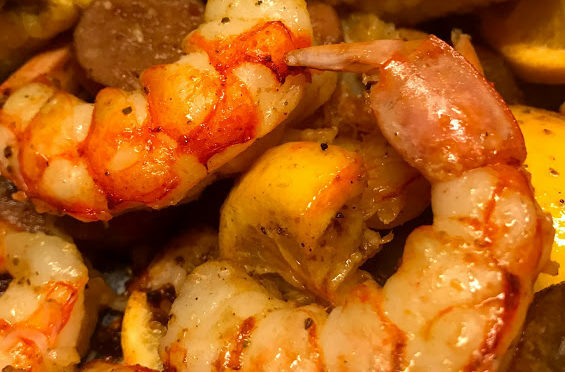 In a large bowl, combine cooked potatoes, shrimp, corn, sausage, lemons. In a smaller bowl, combine garlic powder, Old Bay, melted butter and olive oil. Add salt and pepper to taste. Pour butter mixture over potatoes and shrimp mixture. Toss to combine, then divide between two sheet pans. Bake until shrimp is cooked through and corn is tender, 13 to 15 minutes. In a small bowl, whisk together mayonnaise, chives, Old Bay seasoning, Dijon, lemon juice and zest.